The “Search Engine Optimization”, more commonly known as SEO, is a feature that increases the chances of a website to appear on search engines. In other words, it makes the site appear on the first page of the search engine and increases the likelihood of users accessing it. The position in which the site appears on search engines increases its likelihood of being visited. The preference of earning through clicks and views requires a number of visitors to look at such sites. This is where the WP Meta SEO comes in. The WordPress plugin- WP Meta SEO makes it easier for the users to achieve a higher ranking according to their SEO results. What is the WP Meta SEO plugin? The WP Meta SEO plugin allows users to manage and control the content of their website. The plugin is inbuilt as per the SEO guidelines and it helps users achieve a better ranking through the fulfillment of SEO requirements. Users can develop and change the site according to the SEO rules with greater ease through this plugin and they can learn more about their website’s weaknesses and what improvements need to be made. The plugin not only demonstrates the results and statistics, but it also analyzes the results to show areas that can be improved upon. The main focus of the plugin is to provide the highest SEO ranking for the sites. For a free tutorial of the plugin, visit this link. Editing: the plugin allows users to edit the entire bulk of information by using only one tool. The user has to select the content and the image (size), the plugin stores the information in AJAX and saves it for future use. Size: the plugin guides the user in setting the appropriate and correct size for images to fit in the body of the content on the website. In other words, the plugin suggests whether the size of the images is right or not according to SEO standards, and if not, the plugin also provides a recommended size. Google Analytics: the plugin syncs with “Google Analytics” to gain more insight into consumer behaviors. This helps in identifying the demands of the visitors and what type of content would generate interest. This provides the user with information regarding the location, most common searches and forms of traffic regarding visitors. Title and description: the plugin provides help in developing On-page SEO ranking in order to provide SERP visibility. Score: the most important quality of the plugin is that it detects errors and helps users understand how to correct them. The plugin saves information in AJAX, which is a tool that indicates the score for improvement. Visibility: the plugin makes it easier for visitors to be navigated to the site. Also, this process helps in generating XML and HTML lists, i.e. web pages or URLs. In simple words, the plugin displays web pages and blogs of the same site to generate a number of views, increasing the SEO ranking instantaneously. 404 errors: in case of broken links, the plugin guides the users to other sites that may provide similar results. On-Page SEO Analysis: the plugin guides the user with regard to the quality of the content, provides optimized keywords, a good title for the post and helps in writing a meta description for the article. Compatibility: the plugin is compatible with the third-party plugins, including page builders and WooCommerce products. Import: the plugin imports all the data from Yoast SEO to allow the user to begin right away. Keyword search: “Google Search Console” is a search optimization source that allows for keywords to be searched with ease. Business information: this feature allows the users to include and mention their business information and data in the plugin. This enables the tool to perform other functions as well. Email: one of the unique add-on features allows the plugin to directly email the user the SEO data, reports and Google Analytics reports. Meta check: this add-on allows the plugin to double check and duplicate the meta check to ensure that work is completed properly. Broken links: the plugin includes the scheduled crawl elements that look for links that are damaged and mends them to form a flowing connection and networking system. URL: the plugin can also redirect the links. Also, the plugin provides the option of customizing the redirection URL or link, along with 404 errors according to the user’s needs and preference. Sitemaps: the posts in sitemaps can be customized as well. The plugin includes the option of adding an “Automatic Google Search Console sitemap”. These errors can also be imported and fixed in case the links are broken. The installation process requires “WordPress Installer”. Through this, the plugin can be Installed. To activate the plugin the user will click on “Activate” in the menu bar. The plugin developers allow users to ask questions directly to the team on the site. The Pro version is available for $39 with a 6-month support and update plan. Another Pro version is available for $49 with a full year support and update plan. Why is the plugin needed? First of all, the plugin offers a complete range of functions that can help users get a general overview of the meta title, description, management features and review all the posts and pages on their website. Users can perform many functions at the same time, including defining the name, alt text, title and so on. Due to the fact that all the work can be handled by this one plugin, the user saves time and does not have to go through the hassle of conducting an analysis themselves. The plugin not only points out the errors but also provides suggestions on how to rectify those errors. Therefore, the WP Meta SEO plugin is a powerful tool that handles a multitude of functions in a single package. 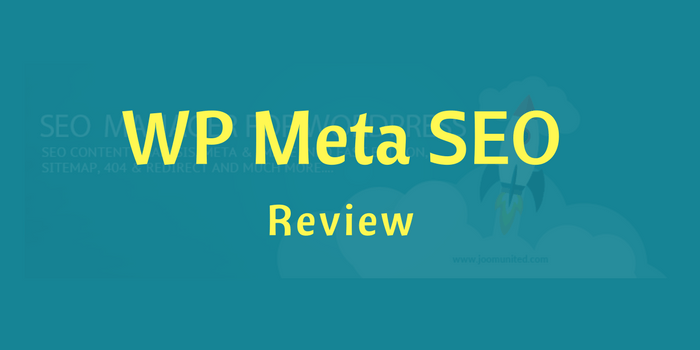 WP Meta SEO plugin is suitable for users to achieve a higher ranking according to the basic SEO standards. This plugin guides users while developing their website in a manner that generates more views from visitors. This tool handles all the functions needed to achieve a good ranking in an increasingly competitive environment and brings a website closer to the top of the search engine results list. The plugin enhances the experience of the user and increases the quality and value of the site for future use. Thus, nothing can go wrong when relying on this plugin for a competitive edge. Try WP Meta SEO Today!